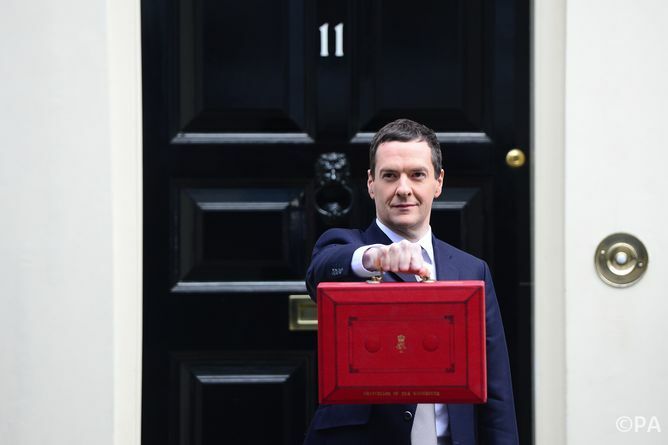 Chancellor George Osborne has unveiled his fifth budget. Fifty days before the general election, it was a more optimistic set of announcements than the UK public has become used to, and Osborne made strong claims about the economic recovery, claiming a Tory government would take Britain “from austerity to prosperity”. Here our panelists give their take on what this budget means for the economy, business, healthcare, education and the environment. This budget is another reminder of how politics messes up tax and spending policy. We get small ripples of political business cycles in spending: pre-election giveaways and a resulting mini-boom, followed by post election draw-backs and a mini-bust. And we have the spectacle of micro-tax shuffling – the constant moving money around from one pocket to another to create the illusion of doing something, when the real need is for stability and predictability. The specifics of this budget are interesting. The new benefits for those saving up to be a first-time buyer are perhaps the most dramatic example of politics trumping economics. This is calculated to make young “hard working families” feel good, but in fact it will just drive up the price of the too-small housing stock and give a wealth transfer to the old who are selling properties to them. The reforms to pensions will have their supporters. I am against them, on the grounds that state-supported and compelled annuities are there to provide a way to lean against our natural tendency to under-save for our old-age and under-insure against the risk of a long old-age in poor health. And it does so in a way that is equitable, efficient and cheap (since it avoids moral hazard) and shares risk across generations. Bank taxes will also, no doubt, play well. But it indicates a policy of funding spending where politics make it easiest to grab money, and not on efficiency grounds. Bank taxes should be fair and based on the residual “too big to fail” risk. Punitive and variable taxes will simply impair bank balance sheets, constrain lending and complicate exit from the crisis. George Osborne, predictably, used his budget speech to hail the good news regarding the labour market in the UK. Employment, he told us, is at a record level, with more Britons in work than ever before. Even real wages are beginning to recover, after several years of decline. Osborne wants us to feel good about the recovery and he wants us to associate this recovery with his own stewardship of the economy. Yet, closer scrutiny of the employment figures reveals a less optimistic picture of higher (no doubt enforced) levels of self-employment, lagging productivity growth, and despite recent signs of recovery, below-crisis standards of living. Employment has expanded but most of the jobs created are in low paid and low productivity sectors. So-called zero-hours contracts have also risen. The securing of higher employment, in short, has imposed real costs on many. And with productivity set to remain low, the prospects for a rise in living standards look bleak indeed. This budget is more about winning an election than securing the foundations for sustainable economic prosperity. It represents a huge missed opportunity. The budget speech comes amid strong economic signals for the UK. Strengthening growth and falling unemployment contrast with an uncertain international backdrop, however. Attempts to reduce the budget deficit will also continue to put pressure on public sector budgets throughout the next parliament. For small firms the budget contained a range of targeted support measures. There was good news for those involved in the creative industries, horse racing, local newspapers all of which stand to get greater public support in future. Changes to the tax treatment of angel investments and venture capital will make investment in high growth firms more attractive. More eye-catching however are the plans for Digital Tax Accounts which should simplify the tax affairs of many self-employed and small business owners. More generally, many small firms will welcome the review of business rates announced by the government in mid-March. Any changes in business rates will, of course, be slow to emerge but will hopefully help smaller firms which are growing and creating jobs. Exporters may also benefit from the doubling of export support available through UK Trade & Investment announced in the budget, with targeted support for those firms seeking entry to the Chinese market. Farmers will also welcome the ability to average incomes over five years for tax purposes, something long campaigned for by the National Farmers’ Union. 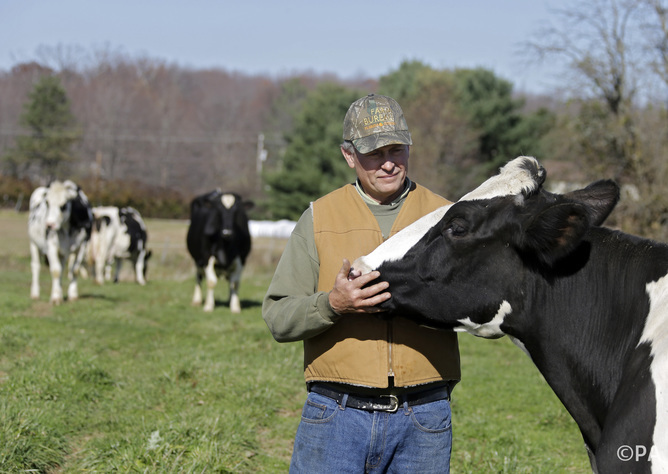 Farmers set to benefit from five year average income announcement. The budget offers little to the average person. The background: 5.3 million people receive less than the living wage and 700,000 people are on zero hours contracts. The UK state pension, at less than 30% of the average income, is almost the lowest in western industrialised nations. Meanwhile, wealth has been sucked upwards. The wealth of the richest 1% of the population is about the same as that held by the poorest 55%. The top 10% of households hold 44% of wealth and the poorest 50% can barely muster 9% of total wealth. The poorest 10% of the households pay 47% of income in direct/indirect taxes, compared to 35% for the richest 10%. What has the government announced? An increase in personal allowance from £10,600 in 2014-5 to £10,800 in 2015-6; higher rate taxpayers to receive an inflation-busting rise in the threshold at which the higher marginal rate begins, and 20 pence an hour increase in the minimum wage will not change any the above. Tax exemption for the first £1,000 interest on savings will not help those who are struggling to make ends meet. Austerity cuts are to continue. The government claims that it will raise £3.1 billion from clampdown on tax avoidance, but HMRC admits to £34 billion of tax revenues going astray. Overall, the government continues with its strategy of cuts and low investment in social infrastructure. 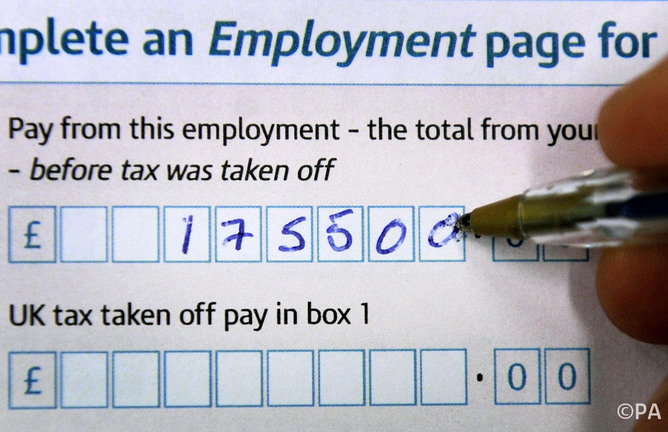 The government’s new tax measures won’t hurt for high earners. As pre-announced, five million people who have already bought annuities will from April 2016 be able to sell these to a willing buyer. The cash raised will be taxed at their normal tax rates (instead of the current 55% tax that would apply). The government will consult on the guidance and advice they need. The difficulty will be in establishing a fair price for the annuity. Sellers will also need to be aware of a large tax bill on big cash sums and the impact such a sale might have on benefits. We all build up entitlement to our eventual state pension by paying national insurance contributions while working or being credited as if we had paid them. The new flat-rate state pension from April 2016 will be a good deal for the self-employed who’ll see their state pension entitlement increase to the same level as employees get, despite currently paying lower national insurance contributions. It may seem a surprise then that the chancellor has announced the abolition in the next parliament of Class 2 National Insurance paid by the self-employed. However, the budget small print says that this will go alongside a review of Class 4 National Insurance that the self-employed pay as a percentage of their profits. It seems likely that this reform will result in a rise in Class 4 contributions – so the benefits might not be as significant as they sound. George Osborne announced a rise in the personal tax free allowance to £11,000 a year from 2017. This increase might be seen as a way of tackling the squeeze on living standards and the growth of in-work poverty that has occurred over recent years. But, at a cost of nearly £2.7 billion, is this the best way to help people on low incomes? Clearly those who have already been taken out of income tax altogether by previous reforms will see no further gain from raising the threshold still higher. If the aim of the policy is to increase the incomes of these people then it will achieve nothing. Furthermore, tax policy needs to be considered alongside wages, tax credits/benefits, and the cost of living. Together these factors determine a family’s standard of living. In the past five or more years, wages have stagnated, tax credits have been cut and living costs increased (albeit inflation has recently come down significantly). Increases to the tax threshold may help people to some extent but if their tax credits are cut many in the middle of the income distribution will benefit less than those who are better off. And the arrival of Universal Credit will further complicate the picture and blunt the benefit of tax cuts. Income tax cuts clearly have an important role in relation to supporting people on low incomes but interactions with the benefit/tax credit system also need to be considered before making assumptions about how much people will benefit. And these tax cuts do nothing for the poorest whose income is already so low that they do not pay income tax currently. George Osborne’s 2015 budget is old-fashioned, with his emphasis on economic growth, continued austerity, and his faith in trickle-down economics. All over the world, since the financial crisis, researchers and policy experts have been thinking about how we can re-shape our societies and economies to promote the well-being of the many over the wealth of the few. The impact of inequality on societal and individual well-being should be at the forefront of every politician’s mind and at the heart of policy making. The UK has unacceptably high levels of mental and physical health problems and exceptionally low levels of social mobility and trust in others, all associated with high inequality. And the recent economic upturn isn’t reaching young people and minority ethnic groups or creating secure and satisfying employment. The welcome measures in the budget, such as raising the minimum wage, promising to crack down on tax evasion and raising the personal tax free allowance, are outweighed by non-progressive policies, such as the commitment to raise the higher rate tax threshold to £50,000, and non-sustainable policies, such as tax cuts for the North Sea oil industry. The chancellor’s announcement of income-contingent loans of up to £25,000 to support research degree study comes as a considerable surprise. In contrast to the loans of up to £10,000 to support taught masters-level study, there had been no lobbying campaign or call for such funding. Instead, universities and higher education representative bodies had been speculating whether further details of the loans package announced in the Autumn Statement would coincide with the budget. Ministers now have only a few days to launch that consultation before pre-election purdah begins. The budget documents are very light on detail. Immediate concerns that the government would be looking to replace research council stipends with loans seems to be assuaged with the statement that the loans “would be in addition to existing funding”. The loan solution appears once again to be used as a means to expand public support without providing this through direct funding, passing the cost on to the student. There is no stipulation of who would be able to borrow, when and under what terms. In contrast to masters study, where nearly three quarters of students pay their own way, only around one third of current domestic PhD students are self-funding. Demand may therefore be limited. Osborne’s latest budget has extended the freeze on fuel duty increases again, the fourth year in a row he’s done so. At the same time, he’s offered generous tax cuts and investment stimuli for the UK’s North Sea oil and gas industry. This is nothing less than a slap in the face to those who are trying hard to come to an agreement in Paris later this year at the all-important UN climate change conference (COP21), not to mention the UK’s home-grown renewable energy industry. 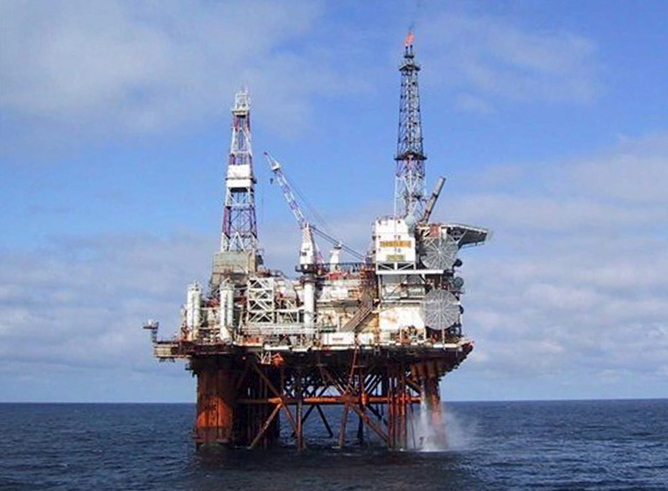 Blue skies for North Sea oil. Governments from around the world will try to come to a new global agreement on curbing carbon emissions at COP21 in December. Many think that this will be our last chance to keep temperature increases to below 2°. One would think and hope that a UK government would do all it can to support policies that reduce our addiction to fossil fuels. Not so. Stimulating demand and supply of fossil fuels at the same time is nothing but a cheap, short-term political gag, and has nothing to do with long-term economic, social and environmental stewardship. The UK’s Climate Change act requires us to take this long-term view, committing successive governments to the goal of lowering greenhouse gas emissions by at least 80% compared to the 1990 baseline. Osborne has made it just this little bit harder to achieve that goal. Today’s budget statement revealed an insight into the current government’s attitude towards technology. The most obvious commitment was to increase fast broadband for all across the UK, as well as moves to improve 4G. This shows a recognition of broadband and mobile services as essential digital utilities. Improved bandwidth and fast broadband is fundamental to seeing the UK’s digital economy thrive. It will enable more people to trade through ecommerce channels – both with British and international companies. As Osborne stated, it is also a precursor to developing an Internet of Things. The Internet of Things received attention in the budget with a somewhat vague commitment to funding. Little detail was given except for the poor example of a desire to control the household fridge through a mobile app – though this was a cheap jibe at the leader of the opposition. Perhaps naively the allocation in the budget of funding for driverless vehicles was treated as a separate item and yet integrating driverless delivery vans with goods bought online is probably one of the biggest upcoming business technology challenges for the Internet of Things that can be imagined.